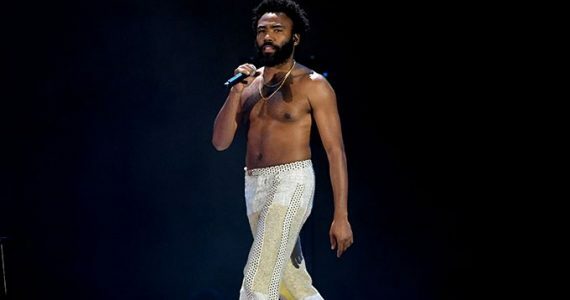 The 2018 ESSENCE Festival attracted more than 510,0000 attendees to New Orleans this Fourth of July weekend, marking one of the largest gatherings in the event’s 24-year history. For the first time ever, all three nights of the ESSENCE Festival concert series at the Louisiana Superdome sold out! The extraordinary turnout underscores ESSENCE’s engagement of Black women around community, culture, and content – which was brought to life in innovative ways at the annual celebration. Over 100 performing artists across the Superdome and the Ernest N. Morial Convention Center. 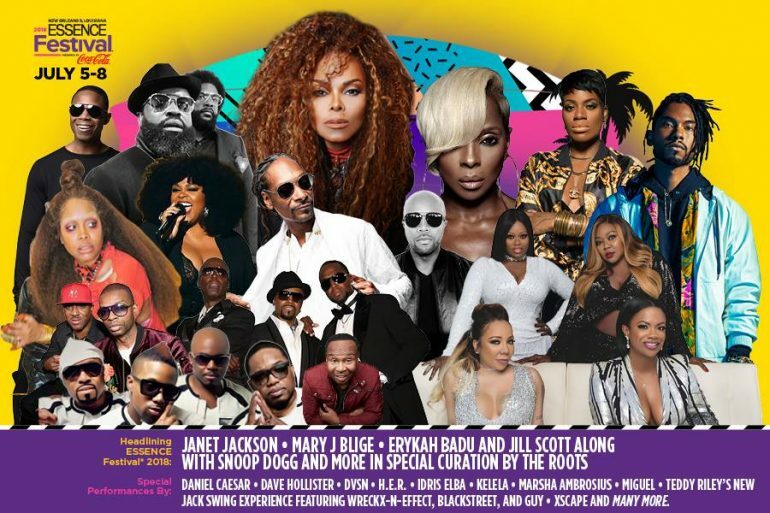 Many of the biggest names in the entertainment industry including Janet Jackson, Mary J. Blige, Queen Latifah, Snoop Dogg, The Roots, Erykah Badu, Jill Scott, Miguel and others performed at the event’s nighttime concerts and dozens of others across ESSENCE’s Center Stage and 10th Anniversary All-Star Gospel Tribute honoring Dottie Peoples. More than 100 influencers, leaders, creators, and celebrities participated in the Festival’s daytime experience – rebranded as ‘Conference & Expos’ with programming across eight tracks spanning Beauty & Style to Business & Entrepreneurship. Powerhouse speakers included Lena Waithe, Lester Holt, and New Orleans Mayor LaToya Cantrell as well as favorites Rev. Al Sharpton, Congresswoman Maxine Waters and Iyanla Vanzant, among others. First-time, simultaneous live streams of the daytime experience on Facebook, Twitter and YouTube; an ESSENCE Snapchat Live special and millions of #EssenceFest social media posts generating trending status on Twitter. Expanded consumer Expos such as the ‘Beauty Carnival” and ‘Entertainment All-Access’ drew crowds of thousands each day to the Ernest N. Morial Convention Center. Elevated VIP events and programs for attendees included the launch of the ‘ESSENCE House’ at the Ace Hotel, as well as the debut of the ‘E-Suite’ with exclusive access to career and business programming. Community give-back and volunteerism at the Festival’s traditional ‘Day of Service’ focused on the theme “Adopt-a-Neighborhood – Central City” to encompass youth center beautification projects, as well as empowerment and entrepreneurship workshops for women & girls. ESSSENCE ‘Day of Service’ also presented the inaugural Excellence Awards honoring local change-agents in the community. For a full recap of all the exciting moments from the 2018 ESSENCE Festival, visit ESSENCE.com and log in to the ESSENCE Festival News Center for photo and footage highlights.